Learn more about Islam, Muslims, and the ISSB; just call us to arrange a time to meet, and we can accommodate the best learning environment for you. Please contact Yama Niazi at (805) 452-1293 with any questions or requests. 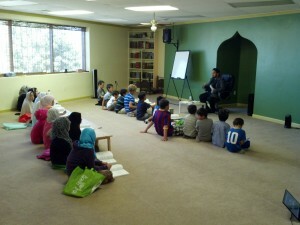 ISSB also provides regular classes about Islam for students of all ages, from infant to adult. Click here to register for Summer. Deadline is April 5th! *Print and fill out form and bring to first day of class, or email it to issbschool@islamsb.org. Please check back later this year to register for Winter classes! Material includes elementary Arabic, Qur’an, basics of Islamic creed and history, and character education. 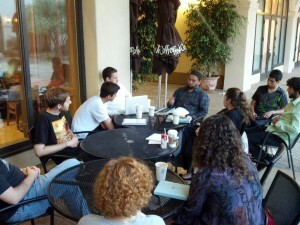 : The University of California, Santa Barbara Muslim Student Association welcomes students of all ages to join them at the Student Resource Building on the UCSB campus for periodic classes taught by Yama Niazi. Topics vary. Please contact ucsbmsa (at) gmail (dot) com for more information. “Spiritual Provisions for the Hereafter,” 7:30 – 8:30 pm. This course is intended for those who would like to learn more about Islamic jurisprudence and creed, and is open to all.